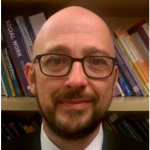 This is a guest blogpost written by Rob Mitchell, Adult Principal Social Worker, Bradford Council. Like many local authorities, Bradford is going through a period of change. We are listening more carefully to people who invite social care into their lives, and focusing more on enabling them to live life how they choose to live it. As an Adult Principal Social Worker, in a system supporting positive and sustainable change, I want to reflect on the challenges involved. “It’s not up to you alone to solve the problem, to lead to greatness, to change the world. It is up to you to create a learning environment in which you and your group can cooperate…maybe then change the world”. It is this approach to leadership, based on collaboration and ensuring our environment is fertile for change, which enables local authority leaders to excel. Many local authorities are now acquiring additional support to maximise capacity for change. As a member of the Adult Principal Social Workers Network for England, I get together with colleagues across local authorities to share innovation in adult social care practice. The majority of these peers have worked with management consultants, and agree with me that the most fruitful relationships are ones that are congruent with our social work and public service values. Does the person coming into my organisation understand and respect the limiting power of the existing culture? Can they work with people to cooperatively redefine cultural boundaries and build on our unique strengths? Does the capacity and capability they provide add value? Can they provide effective challenge and innovative new ideas which provide a genuine evidence base? What legacy did they leave behind? Did they implement sustainable change? Were they good value for money? In Bradford, we are working with IMPOWER to codesign and embed new ways of working to help maximise independence and make a bigger impact on people’s lives. The IMPOWER team recognise and value people, and work hard to build and maintain trust. They asked challenging questions to stimulate new insights from critically reflective conversations, which encouraged shared learning. Change is a time of ambiguity, which generates anxiety for people. Trust is the basis from which people make the leap of faith from the old to the new. I have found that IMPOWER work from a position of trust, and were open to us about our strengths and our areas for improvement. IMPOWER has played a significant role in helping us recognise the relationship between our change processes and our core public service purpose. Wanting to make a difference is the foundation of effective adult social care and the reason we work in public services. We all need to help each other.